This Pat Bagley cartoon appears in The Salt Lake Tribune on Thursday, March 21, 2019. This Pat Bagley cartoon appears in The Salt Lake Tribune on Wednesday, March 20, 2019. (Pat Bagley | The Salt Lake Tribune) This Pat Bagley cartoon, titled Trump's Following, appears in The Salt Lake Tribune on ... This Pat Bagley cartoon appears in The Salt Lake Tribune on Thursday, March 14, 2019. This Pat Bagley cartoon appears in The Salt Lake Tribune on Sunday, March 10, 2019. This Pat Bagley cartoon appears in The Salt Lake Tribune on Friday, March 8, 2019. This Pat Bagley cartoon appears in The Salt Lake Tribune on Thursday, March 7, 2019. 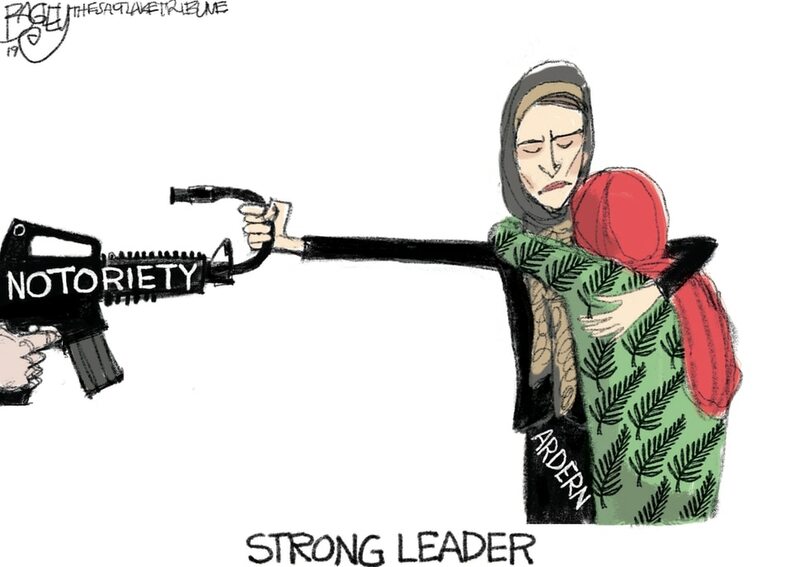 (Pat Bagley | The Salt Lake Tribune) This cartoon by Pat Bagley titled A Real National Emergency appeared in The Salt Lake... (Pat Bagley | The Salt Lake Tribune) This Pat Bagley cartoon, titled The War on Hamburgers, appears in The Salt Lake Tribune... This Pat Bagley cartoon appears in The Salt Lake Tribune on Sunday, March 3, 2019. This Pat Bagley cartoon appears in The Salt Lake Tribune on Friday, March 1, 2019. This Pat Bagley cartoon appears in The Salt Lake Tribune on Thursday, March 21, 2019. This Pat Bagley cartoon appears in The Salt Lake Tribune on Wednesday, March 20, 2019. 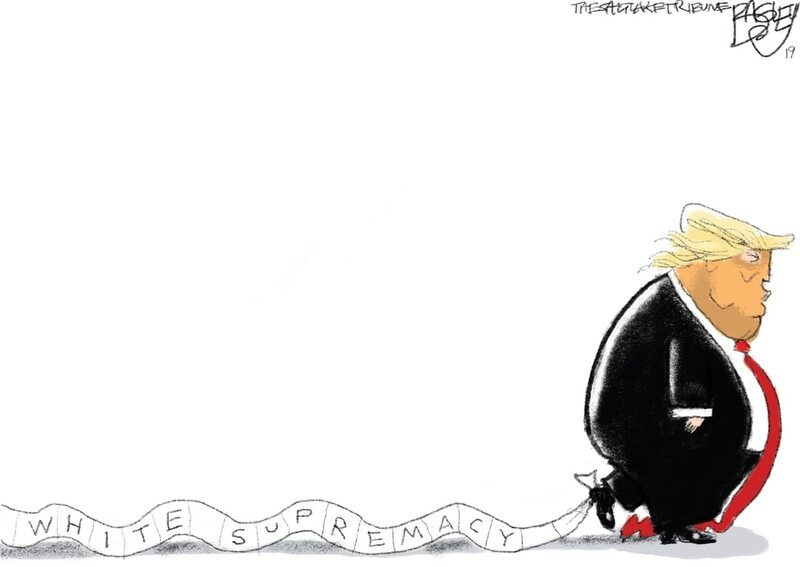 (Pat Bagley | The Salt Lake Tribune) This Pat Bagley cartoon, titled Trump's Following, appears in The Salt Lake Tribune on Tuesday, March 19, 2019. This Pat Bagley cartoon appears in The Salt Lake Tribune on Thursday, March 14, 2019. This Pat Bagley cartoon appears in The Salt Lake Tribune on Sunday, March 10, 2019. This Pat Bagley cartoon appears in The Salt Lake Tribune on Friday, March 8, 2019. This Pat Bagley cartoon appears in The Salt Lake Tribune on Thursday, March 7, 2019. 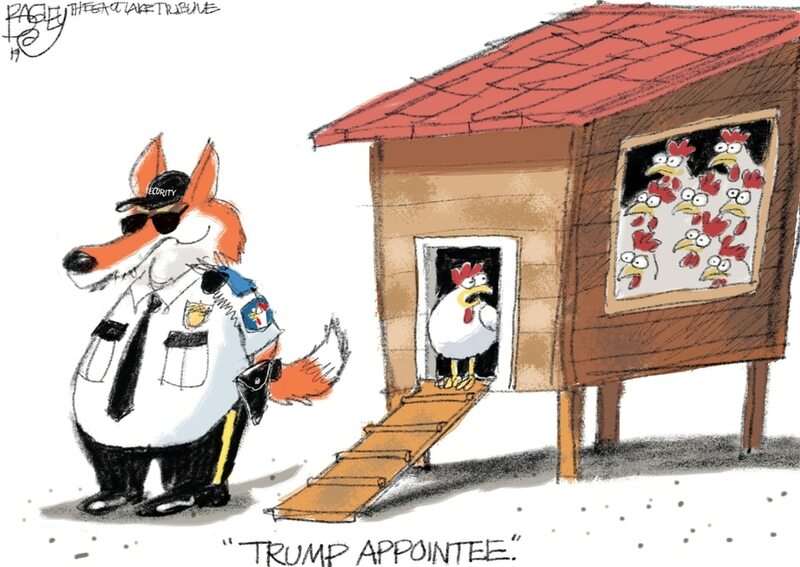 (Pat Bagley | The Salt Lake Tribune) This cartoon by Pat Bagley titled A Real National Emergency appeared in The Salt Lake Tribune on Wednesday, March 6, 2019. (Pat Bagley | The Salt Lake Tribune) This Pat Bagley cartoon, titled The War on Hamburgers, appears in The Salt Lake Tribune on Tuesday, March 5, 2019. This Pat Bagley cartoon appears in The Salt Lake Tribune on Sunday, March 3, 2019. This Pat Bagley cartoon appears in The Salt Lake Tribune on Friday, March 1, 2019.